Wise Care 365 PRO normally cost $39.95 for purchase. As part of promotional offer, Wonderfox is offering all Windows users with free 1-year Wise Care 365 PRO single license key for 1 PC. Interested users who intend to try can follow the steps below. Enter registration info such as Your Name and Email address, and then click “Get License Now” to grab the free license. Your will receive an email from [email protected] that containing free license key. Next, download the Wise Care 365 PRO and then activate it with license key receive to enjoy full version. 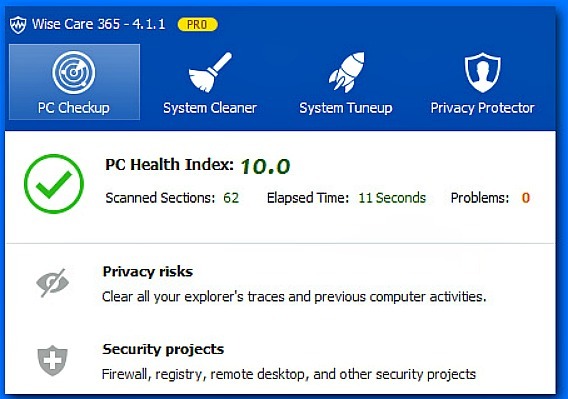 Wise Care 365 PRO compatible with Windows XP, Vista, Windows 7, Windows 8, Windows 10 (both 32-bit and 64-bit).